Inder Loves Folk Art: Christmas in Oakland. 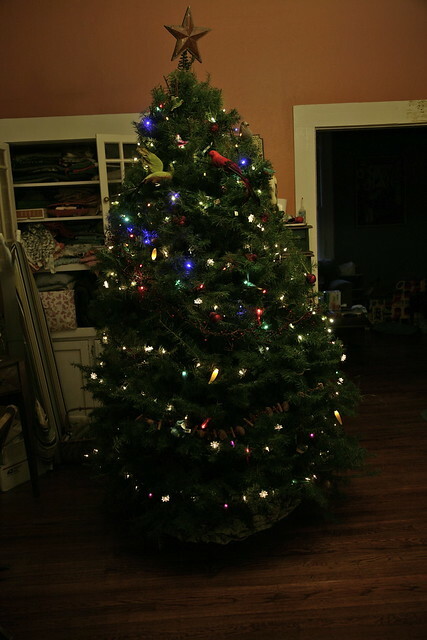 Despite catching a cold, we did manage to get a tree up this weekend. This is probably the biggest tree we've ever had in this house. Since I can't even reach my sewing machine there behind the tree to the left, it's not looking good for any pre-Christmas sewing. That's okay. I'll just play banjo instead. Lois Short: Banjo Picking Girl. Christmas Gifts Update, Harper's Style. Old Man Jeans, with Photos.